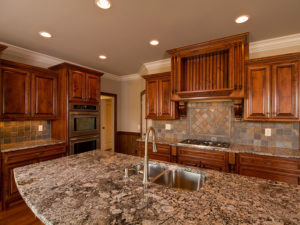 Having a kitchen remodel performed is an excellent investment to make in the value of your home in Bluffton, South Carolina, as well as your lifestyle. The kitchen is often seen as the heart of the home, as this is where family and friends gather to enjoy everything from weekday dinners to celebrations. At Porch Outfitters, we understand the role this room plays in homeowners’ lives, which is why we provide completely custom remodeling services that transform old outdated spaces into the kitchens that our customers have always dreamed of. To maximize the value you receive for your investment in a kitchen remodel, Porch Outfitters will work closely with you, taking into account your needs, preferences, and budget before creating a design. Additionally, we’ll incorporate premium, long-lasting products into your remodeling projects, such as custom cabinetry, beautiful countertops in your choice of materials, warm lighting, low maintenance flooring, and more. Contact Porch Outfitters today to learn more about the kitchen remodel services we provide to homeowners in Bluffton, SC.